Dr. Sivasrinivasu Devadula received his Ph.D. from Indian Institute of Technology Madras (IIT-Madras), India in 2008. 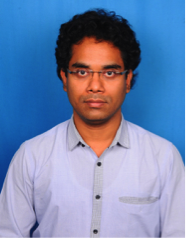 He worked as a Post-doctoral Research Fellow at Nottingham University, UK for 3½ years (2008-2011). Following it, he worked as a Senior Research Fellow at KTH-Royal Institute of Technology, Sweden for 3½ years (2011-2015) before joining IIT Madras. His research interest includes in particular – machining of 3D-surfaces on advanced engineering materials (super alloys, shape memory alloys, high entropy alloys, diamond, engineering ceramics, engineering composites), abrasive waterjet machining, novel tool path strategies, optimization, process modelling and simulation, machine tools, and in general – conventional and unconventional machining processes, machine tool metrology, micro machining. Marie-curie Intra-European Fellowship from the European Commission for an individual research at KTH – Royal Institute of Technology, Stockholm, Sweden, for 3½ years. Fellowship from Nottingham Innovative Manufacturing Research Centre (NIMRC) for a postdoctoral research for 3½ years. Scholarship from Volkswagen-Stiftung foundation, Germany for Ph.D. and a research project in collaboration with the University of Hannover, Germany, for 4½ years. D.S. Srinivasu, D.A. Axinte, Maskless pocket milling in composites by abrasive waterjets: An experimental investigation, ASME – Journal of Manufacturing Science and Engineering, 2014, 136(4), 1144-1157. D.S. Srinivasu, D.A. Axinte, Surface integrity analysis of plain waterjet milled advanced engineering composite materials, Procedia CIRP, 2014, 13, 371-376. D.S. Srinivasu, Mihai Nicolescu, Issues in the machining of hollow core honeycomb sandwich structures by abrasive waterjet machining, Journal of Machine Engineering, 2013, 13(1), 117-124. C. Kong, D.S. Srinivasu, D.A. Axinte, Bernard Hon, Wayne Voice, On geometrical accuracy and integrity of surfaces in multi-mode abrasive waterjet machining of Ni-Ti shape memory alloys, CIRP Annals – Manufacturing Technology, 2013, 62(1), 555–558. D.S. Srinivasu, D.A. Axinte, An analytical model for top width of jet footprint in abrasive waterjet milling: a case study on SiC ceramics, Proceedings of the Institution of Mechanical Engineers, Part B: Journal of Engineering Manufacture, 2011, 225 (3), 319-335. A. Axinte, D.S. Srinivasu, J. Billingham, M. Cooper, Geometrical modelling of abrasive waterjet footprints: a study for 90º jet impact angle, CIRP Annals – Manufacturing Technology, 2010, 59(1), 341–346. D.S. Srinivasu, D.A. Axinte, P.H. Shipway, J. Folkes, Influence of kinematic operating parameters on kerf geometry in abrasive waterjet machining of silicon carbide ceramics, International Journal of Machine Tools and Manufacture, 2009, 49(14), 1077-1088.